There is no secret to the perfect lashes. I’m a firm believer that everyone is different – including your lashes. Some people might need a volumizing mascara, while others might need a lengthening mascara. One mascara might make someone look like they have doll lashes, but it might make someone else look like they’ve got spiders coming out of their eyes (yikes). I love to try out different mascaras and see the different looks I can get. I actually have different mascaras for different occasions, like one for an everyday look and another for a va-va-voom smoky eye. 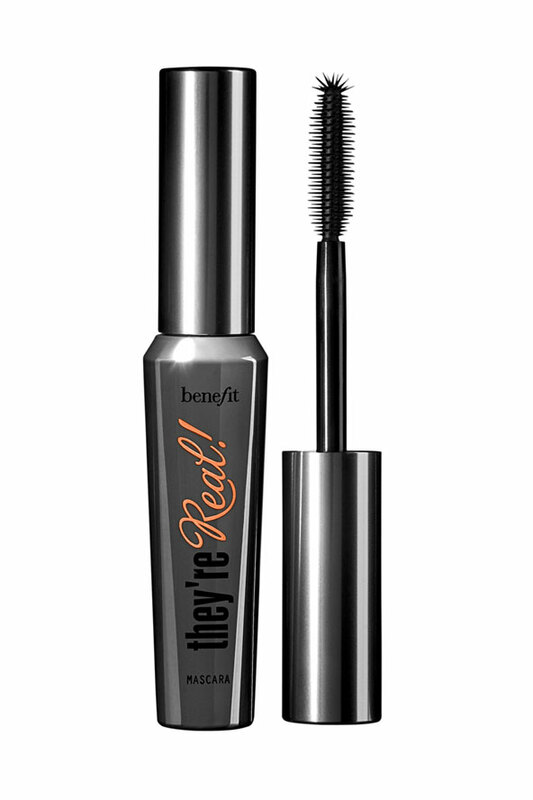 I guess you could say I’m a bit of a mascara junkie – so when I had the chance to review Benefit’s They’re Real, I jumped on it! I have to admit, the first time I used They’re Real, I didn’t get what all the hype was about. My lashes seemed to be clumpy and thick. To be honest, mascara wands with plastic bristles like this one tend to scare me. They look sharp and spiky. Turns out, I just didn’t know how to use it! They’re Real‘s secret is in the wand. It’s designed to be used both horizontally for length and vertically for added curl and separation. 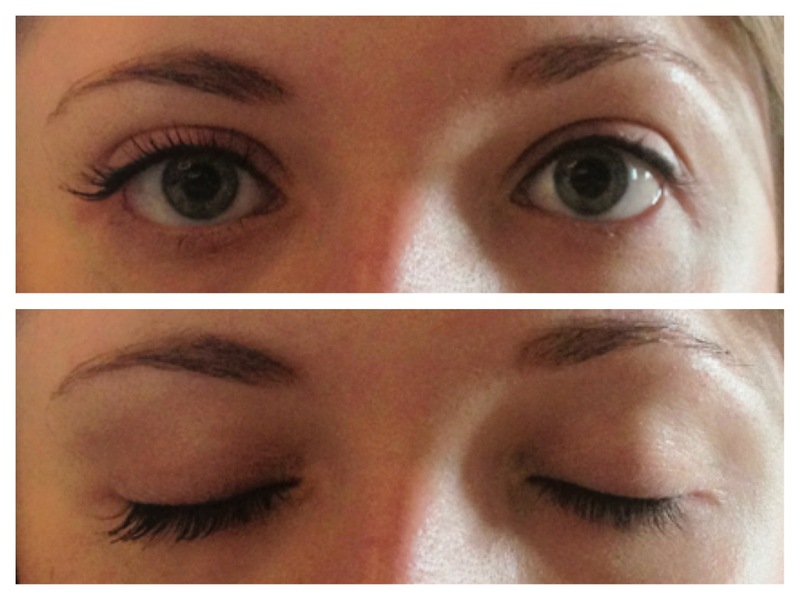 Because of this, it combines both a lengthening and a volumizing mascara into one. After reading how to apply it (Benefit has a great tutorial here!) which I probably should have done first, I gave it another shot – and I loved it. It really took my lashes to the next level. You can even layer They’re Real to customize the intensity of your lashes. I clearly don’t have the best camera, but check out the photos below. The eye on the left has one coat of They’re Real, compared to the eye on the right, with no mascara. It actually makes my lashes look longer and thicker, but still gorgeous and real! The best part? I’m a contact lens wearer, so despite my love for mascaras, I often have trouble with mascaras flaking off, getting stuck under my contacts, and irritating my eyes. I’ve been using They’re Real for about two weeks now and I haven’t had any problems! That in itself is enough to get me to keep buying it. If you’ve tried They’re Real, we want to hear from you! Let us know what you thought in the comments below. Disclosure: I received They’re Real from Benefit Cosmetics for the purpose of reviewing. The opinions stated in this post are my own.